Langer’s Delicatessen-Restaurant is now on Facebook, and you can follow us there along with all your friends and family. Just click here to be redirected to our Facebook page, and click the “Become a Fan” button to add us to your friends list. We’ll be adding much more to our Facebook presence in the coming weeks, so visit us often. And feel free to leave a review, start a discussion, or add your own fan photos to the page. We look forward to interacting with you! SeriousEats.com: Is Los Angeles the Best Jewish Deli Town? Sax’s favorite Los Angeles delis include: Nate ‘n Als, Arts, Canters, Brents, Greenblatt’s, Factors, Juniors, and Langers, as JewishJournal.com points out. So, are you throwing a pickle at the screen in rage? Or do you agree? Definitely click here to check out the terrific range of responses from SeriousEats.com’s visitors. 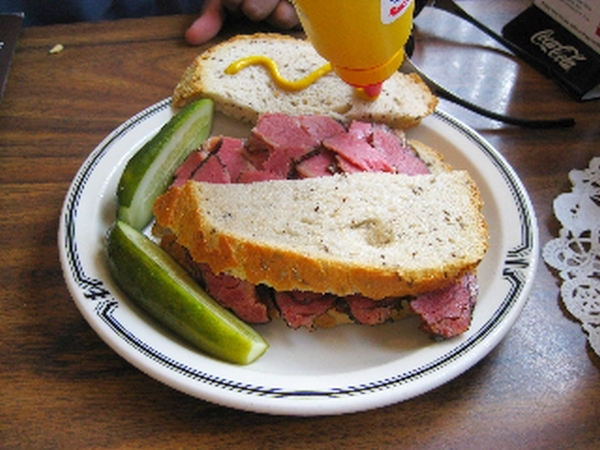 https://www.langersdeli.com/wp-content/uploads/2009/07/0709-seriouseats.jpg 375 500 Langer's Deli https://www.langersdeli.com/wp-content/uploads/2013/04/langers-0914-logo.png Langer's Deli2009-07-29 17:38:592014-02-18 16:23:27SeriousEats.com: Is Los Angeles the Best Jewish Deli Town? If you wanna switch things up a bit without being too extreme or without compromising your budget by much, head over to “Langer’s Deli” for some of the best pastrami EVER. If you haven’t tried “Langer’s”, you owe it to yourself to experience it- even if you’re not a huge pastrami fan, after eating at this joint, you will be. Eat your heart out New York. The best Pastrami sandwich is a Los Angeleno. An East side one, at that. Sitting at the corner of 7th and Alvarado, yards away from where Captain David Aceveda and the late Terry Crowley met in the pilot of The Shield, is Langer’s, one of the best restaurants in the city. Like most delicatessen’s, Langer’s features a huge menu that could tempt one to veer off the Pastrami highway, but this is simply not advised. 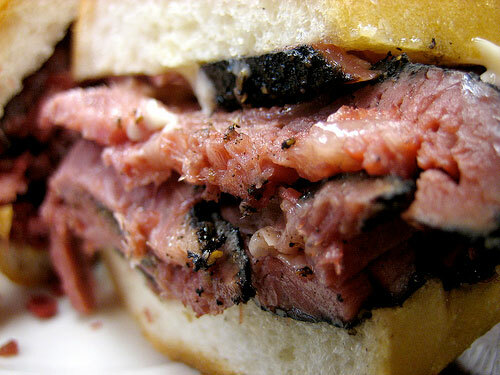 Unless that is, you happen to go after the best kept secret at Langer’s: The Corned beef! Sax, who spent a lot of meals out here noshing his way to proof, presents his evidence: Nate ‘n Als, Arts, Canters, Brents, Greenblatt’s, Factors, Juniors and… Langers, home of the finest pastrami sandwich in the universe, much less the country. 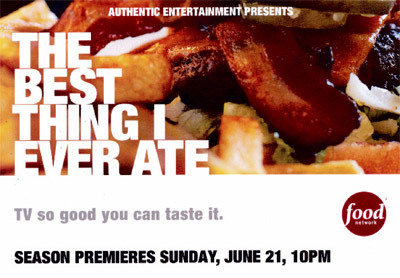 Langer’s Delicatessen-Restaurant will be featured in an upcoming episode of the Food Network’s “The Best Thing I Ever Ate” program produced by Authentic Entertainment. We will appear in the “Between Bread” episode. The air date for the Langer’s segment is August 4, 2009 at 9:30PM. The series is 9:30PM every Tuesday. Here’s a link to the Food Network’s show site. LOS ANGELES — Al Langer, whose pungent pastrami on chewy rye is widely considered the best in Los Angeles, knows it takes more than a tasty sandwich to keep a delicatessen afloat for half a century. In part, it’s a crapshoot, admits the 84-year-old patriarch of Langer’s Deli, which has seen good times and bad in the MacArthur Park neighborhood where he opened shop 50 years ago this month with $500 in his pocket. But the scrappy New Jerseyite says it’s also a matter of knowing when to hold, what to fold and how to change with the times. Take the deli’s location. As the once-prosperous commercial and residential Jewish neighborhood became filled with struggling Central American refugees, Langer held on, convinced that there would always be customers for his matzo brei, kippers and those fat, famous sandwiches. Maybe so, but not at night or on Sundays anymore. Click here to read the entire article – it’s worth it. 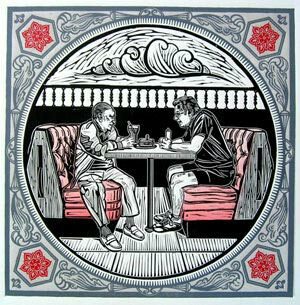 MosaikaDesign.com has an interesting visual collection of the many tiles created by artist Sonia Romero for the Westlake Metro station. Her work includes a great one of Norm and Al Langer, sitting in a booth at the restaurant. Click here to view the entire collection now. Thank you, LA Weekly and thank you, Jonathan! Langer’s is proud to announce we have been selected by Los Angeles Magazines as part of their 2009 Best of LA for “cheap eats.” Thank you, LA Magazine! Click here to read the story on their website.